These are questions that we are often asked. Regardless of what budget solution you are implementing, many of the factors will be the same. In fact, they will work for any software you implement, budget or other. Since there’s a lot to cover, we will explore these questions in two-parts. In part one, we’ll look at how to get started and the importance of establishing clear objectives, setting a realistic timeline, and ensuring the availability of resources. In part two of the article , we’ll discuss customizations, change management, and the significant role that feedback plays in the development of a useable budget system. It is commonly understood that she who commands the agenda also commands the outcome. Keep this in mind when embarking upon your budget implementation. Budgets can have many different objectives, and the ability to meet them all effectively will be a function of how well you can articulate them from square one. Make it clear to everyone that there are no common sense ideas about what a budget is for and how it works; write it all down. When these “new ideas” are introduced they are frequently accompanied by the words “this is what we have always done it.” The problem occurs more often than not because people are afraid to state what to them is obvious. So, it is incumbent upon us all to be clear about what we want in the budget system because, however flexible a solution may be, it will never come with an “obvious” button. We cannot be too firm about the importance of documenting ideas because, all too frequently, we see when congratulations are abounding, does someone decide that the budget should address some additional issue that was never part of the initial design and, in fact, cuts across the design. Once you have your requirements, it is crucial to set a framework for those requirements. During the process you may find uncover additional requirements, which may need to be added or put on hold/dismissed if they not fit within the framework. When embarking on a project we tend know whether something is possible, so we should not feel obliged to achieve the impossible. That just sets everyone up for disappointment. Stand up for yourself and the project, and endorse a timeline that makes sense to you and the organization. Today’s budgets are often quite large, so validating the data that was imported may take some time to do, but it is a required step to ensure the accuracy of your budgets. Other customizations will need to be determined and specifications created, and tested once they are completed, which again, takes time and effort on your part. Some customizations may not be able to be completed until others are approved, which could delay the overall implementation process if not done in a timely manner. Set a realistic timeline that will account for any contingencies, and make sure it is one that you can live with. It’s very difficult to turn a train around once it leaves the station. And understanding your available resources will prove as the ultimate success of a smooth implementation. Now that you’ve set your timeline, it’s time to allocate internal resources associated with the implementation. Choosing the right people means thoroughly understanding the role they will play, whether a subject matter expert, technical expert, project manager or project sponsor. Today’s software is often heavily customizable, allowing you to tailor verbiage, screens, reports and other business rules and logic you may have. Additionally, historic data is often added to the Budgeting Solution, allowing users to see what previous budgets were, in order to help provide a roadmap to establishing the current budget. These customizations and data imports require someone familiar with your current processes, needs and wants, which may be a single internal resource, or perhaps several resources working together. These resources will work directly with your solution provider, ensuring the data that’s imported is correct, screens look right, and reports are returning the data you need. This takes both time and availability to do. Maintaining an open communication channel and responsiveness on the part of all involved is also key for any successful implementation. Ensuring a smooth, efficient, and usable solution will require the ongoing efforts and time of both your solution provider and your internal resources. Finally, it will be up to you to ensure your resources are given the support they need to effectively meet the project milestones and deadlines. Just remember that while making sure the team is available, you don’t overlook your own schedule. Ensuring a smooth, efficient, and usable solution will require the ongoing efforts and time of both your solution provider and your internal resources. 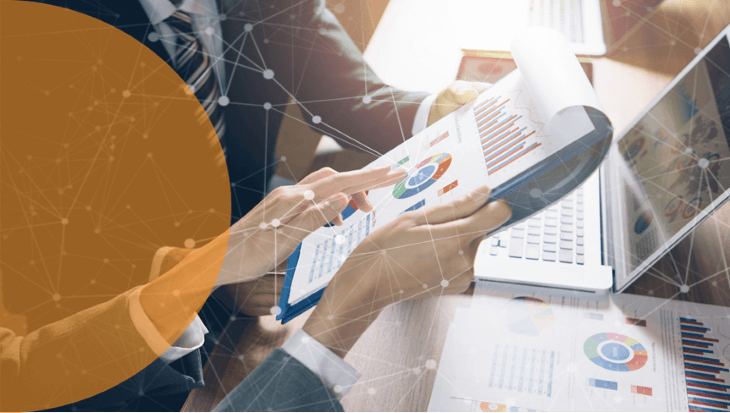 Find out how Questica Budget Suite can help your organization achieve better and faster budgeting by requesting a demo or signing up of one of our free monthly webinars.